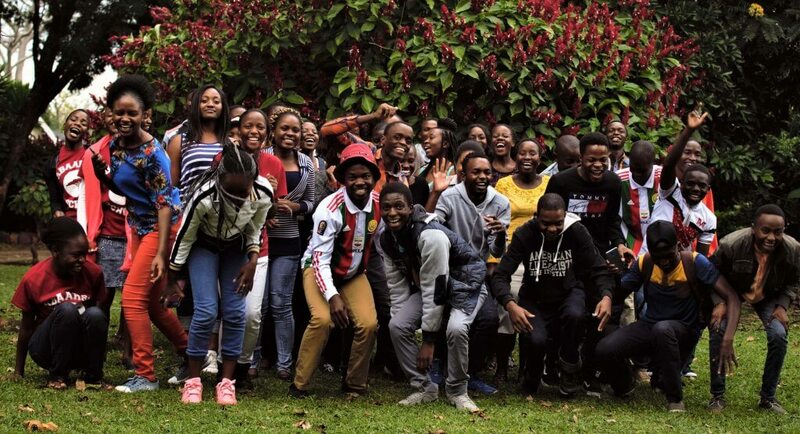 The USAP family is celebrating another amazing success as USAP alumni Ngoni Mugwisi and Lilian Dube have won this year’s two Zimbabwean Rhodes Scholarships. Ngoni, who studied O levels at Mkoba High and A levels at Thornhill High in Gweru, is currently a final year student at Arizona State University, where he is part of the MasterCard Foundation Scholars Program. A member of ASU’s Barrett Honors College, Ngoni is pursuing a degree in Electrical Engineering and has pursued research in energy sustainability and social entrepreneurship. At Oxford, Ngoni intends to pursue a MSc in Engineering Science with a focus on energy systems. Lilian, who grew up in various parts of Southern Zimbabwe, earned her O levels from Binga High School and A levels from Speciss Bulawayo. Lily graduated last year from the University of Chicago Phi Beta Kappa with a BA degree in English Literature. Proficient in multiple languages, she also explored her love for linguistics, as a teaching assistant in a graduate course on Ndebele and as part of Harvard’s Ukrainian Research Institute. Lily, who currently teaches in Hong Kong, intends to use her Rhodes Scholarship to pursue Master’s degrees in Education and English. Each year two Zimbabwean Rhodes Scholars are selected on the basis of their intellect, character, leadership and commitment to service to join 81 other Rhodes Scholars from around the world at the University of Oxford. Established in 1903, the Rhodes is the oldest and perhaps most prestigious international graduate scholarship program in the world. In the past there has been one other Rhodes Scholar who was a USAP alumnus, Tafadzwa Muguwe, who studied at Swarthmore College and was awarded a Rhodes in 2005. A third USAP alumna, Florence Takaendesa, who is finishing her degree at the University of Southern Indiana, was also a Rhodes finalist. We are extremely proud of these USAPers, the journeys they have travelled and their impressive accomplishments. More information on the Rhodes Scholarships in Zimbabwe can be found at http://www.rhodeshouse.ox.ac.uk/zimbabwe . That’s very encouraging to us who are looking forward for a scholarship.congratulation to them. Congratulations to you two….you have made your families and country proud once again. Keep it up and continue to shine the sky is not the limit but just the beginning. Next Next post: Zimbabwe Career Connect 2017 Application Is Open!